The capital of Menorca, ever since the British moved it from Ciutadella in 1721. 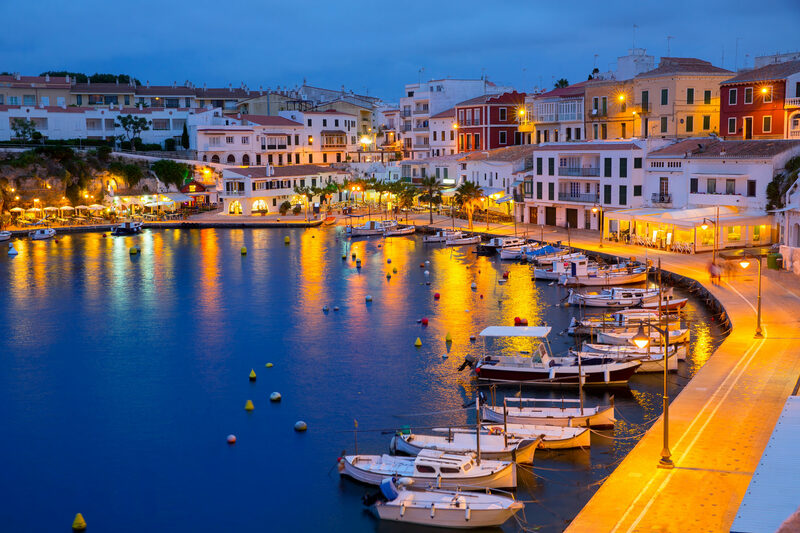 Located on the east coast of the island, with fantastic beaches nearby its a must on every visit to Menorca. Fortalleza de La Mola, is a huge 19th century fort that dominates the entrance to Mahon's harbour. Walk along the defensive walls, explore the underground galleries, and visit the military prison. Situated 20 minutes south from Mahon, this Blue Flag beach is one of the island's largest beaches. Offering plenty of water sports and it's fringed with bars and restaurants. A former monastery set about the main harbour, the Museu de Menorca exhibits artefacts from the island's early inhabitants and art from the 18th to 20th centuries. Situated close to the cove of Sant Esteve on the southern coast, Fort Malborough took over 16 years to complete and considered a model of modern engineering when it was built.